We know there are all kinds of ways bacteria make us safer. They help digest our food, they create vitamins, decompose waste, and out-compete pathogens from invading our system. Could bacteria also help catch criminals invading our house? A study by the Fort Lauderdale police department suggests they may. Recently, studies have been popping up left and right that suggest each individual has his own distinctive microbiome, as unique to you as your fingerprint. A study from the University of Oregon found that the microbial profile on your cell phone is so similar to the one on your skin that they could match students to their smart phones by sequencing the two sets of communities. The U.S. Department of Energy’s Argonne National Laboratory and the University of Chicago collaborated on the Home Microbiome Project, which followed seven families (including pets!) over six weeks, swabbing their hands, feet, and noses daily. They then sampled surfaces in their houses, including doorknobs, light switches, and countertops. Not only could they match the family to their home, but they could track pathogens that spread from one family member, to their countertop, to another family member. The families’ microbiomes were so resilient that when three of the families moved, their microbiome spread to the new house in less than a day. Only one tenth of the total cells are “you.” The other nine tenths are made up of your microbiome. So what does this mean for crime-fighters? It opens up the opportunity to explore who has been in a house during a certain time frame. The applications are endless. One example given by Sheriff Steward Mosher of Broward County would be verification of alibis. If a woman is murdered, the first place the law enforcement turns to is her husband. If he says he was out on a business trip, that statement would need to be verified. Calling hotels and hoping he signed something or that someone remembers him can all be very time consuming. What if we could simply look to see if his microbial profile has been reduced or eliminated from the house? Or what if we could swab the hotel room to verify his alibi? Our microbial calling cards can last 48-72 hours after we have vacated, so a reduced correlation between the house microbiome and the husband’s would tell us that it’s been a while since he was home. On the other hand, finding a strong correlation when he was supposed to be gone for a week would mean he had some explaining to do. Being scientists, naturally we want to see how far we can take this. 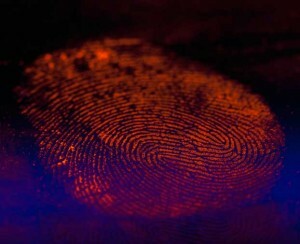 Jack Gilbert, the principal investigator from the Home Microbiome Project, has expressed interest in beginning a database of individuals’ microbiomessimilar to the fingerprint database used by our law enforcement. Even if you don’t have a suspect to which you can compare any anomalies in the household microbiome, you could check it against known criminals in the area. The study run by the Fort Lauderdale Police tried to test this theory. They had one of their detective sergeants, Bill Stewart, stage a break-in. He and his partner climbed through a window (of a scientist involved in the study, with permission!) and grabbed a pillow case and stole some assorted knickknacks, before stopping on the couch to drink half a soda and pet the cat.The house was them swabbed to see if they caused distinct anomalies in the house’s microbiome, which could indicate a new presence. While their study was fairly successful, the analysis of the data found some disturbing unforeseen ethical issues. During the analysis of the sergeant’s microbiome, his bacteria correlated with regular drinking and migraines showed up. It turns out Stewart does get the occasional migraine. The family’s bacteria indicated omnivores who supplemented with vitamin B and calcium, which also turned out to be correct. While these examples are not particularly invasive, it did cause concern about what else could be betrayed by our microbial friends. 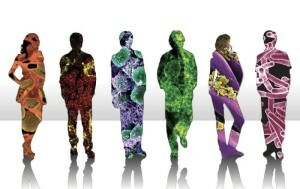 Possible diseases, hobbies, work, ethnicity, and other personal information could be recorded in the form of a microbial profile and placed in this database. However, Jack Gilbert argues that this is no different from collecting genetic material from a crime scene. David Kaye, a law professor at Pennsylvania State University, raises other concerns. He feels this data would be unreliable at best. If it takes less than a day for a family to spread their microbiome throughout a house, how long would it take for the anomalous readings of the intruder to blend with the house microbiome? How similar must the samples be to suggest you have the correct person? However, if this were used as a tool in concert with other methods and evidence, it could at least help confirm if the investigation were going in the right direction. And shouldn’t we use every tool available to us? While this technology is still far away from being used routinely, it is still a very exciting application in the realm of microbiology. Written by Kate Massey, October 2015. 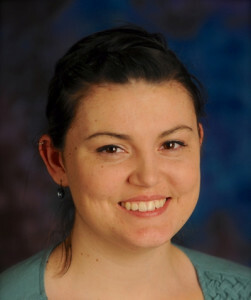 Kate Massey is a Technical Support Specialist at Hardy Diagnostics. She earned her bachelor’s degree in Anthropology and a certificate in Archeology at Southern Oregon University in Ashland, Oregon where she studied the use of mycology to characterize archaeological excavations. This entry was posted in Micro Musings and tagged bacteria, bacteriology, Diagnostics, fingerprint, forensics, Hardy, Hardy Diagnostics, microbacteria, microbes, microbiology, microbium. Bookmark the permalink. ← IQCP is here! Are you ready?